Line Depping, born in 1978, is a Danish designer, who graduated from the Design School of Denmark in 2007. Recognized as an important pioneer of the new Nordic design scene, Line Depping has been awarded with several prizes, such as the Danish Art Foundation Prize in 2010 and 2013, and the II Vico Magistretti 1st Prize by DePadova and Designboom in 2007. Line Depping attaches great importance to the choice of materials that she questions and challenges, always wondering : what will this object be used for? Does it have a significant reason of being? As a part of her Scandinavian heritage, Line Depping cherishes wood as a favorite material, which becomes obvious in the « Maple Stool », designed in 2004. Through this work, inspired by the three-legged stool, of a kind traditionally used while milking cows, Line Depping wondered how it could be possible to sit in a dynamic way. She answers by creating a stool in solid wood with a moving and detachable seat. From a traditional object, she proposes an innovative and functional work of art. 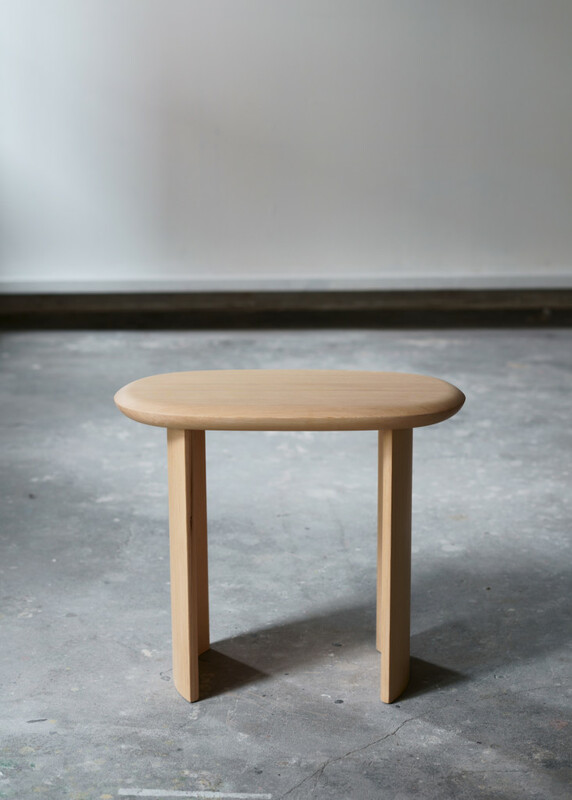 The stool is handmade by the Danish master cabinet maker Teis Abrahamsen, and proposed in maple by Galerie Maria Wettergren in a limited edition of 10 pieces. The pureness of form and the exquisite craftsmanship link this sculptural design piece to the Golden Age of 20th century Scandinavian furniture design, while at the same time innovating this tradition by the playful re-interpretation of the milking stool.